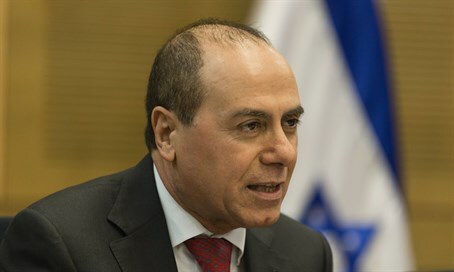 Silvan Shalom resigned his post as Interior Minister in November of 2015 following several allegations of sexual assault. Now the charges against him are being dropped. Attorney-General Avichai Mandelblit announced this evening (Thursday) that the investigation of former Minister Shalom, following allegations of sexual assault, has ended, and no indictment will be filed. Several women accused Shalom of sexual harassment in the media, but only one had filed an official police report. The saga began in March of 2015 when "M", Shalom's former secretary, filed a police report accusing him of sexual harassment, implying that he had exploited his position of power over her. Several other women subsequently came forward in the media and made similar accusations, broadening the scandal. Then Minister Shalom resigned his cabinet post and retired from politics altogether, effectively ending his political career, as a result of the allegations, and an investigation was opened. Upon investigation, it turned out that "M" couldn't substantiate her allegations in any way, and none of the other accusers were willing to be bring their allegations to the police. Thus there was no case to be built. It should be emphasized that the charges were dropped without Shalom himself ever being summoned for interrogation by the police, as the evidence against him wasn't substantial enough to make such an interrogation necessary.